SniffPhone will be a medical diagnosis platform that can be attached to a smart phone. This project aims to achieve easy to use non-invasive wide spread health screening through testing of exhaled breath coupled with the development of an advanced smartphone solution. The envisioned smart system (i.e., SNIFFPHONE) will be a low-cost, low-energy, ultra-miniature breath test tool that will be attached to a mobile phone, will be fully powered by the cell-phone battery, and will have multi-functional properties, including sensing, storing, processing, actuation and ultra-wideband communication. 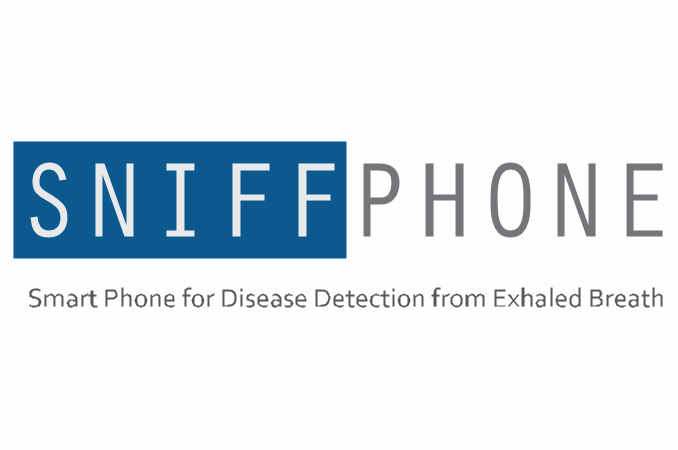 the SNIFFPHONE platform can be used as a launch pad for further initiatives to achieve rapid monitoring for other diseases using breath samples.